Drivers on the road today are more distracted than ever with phones, gps, email, and texting behind the wheel. Bikers face more risk than ever. According to recent studies from Virginia Tech and Clemson, texting drivers are 23 times more likely to crash, and texting drivers leave their lanes at a rate ten times higher than other drivers. A Wisconsin lawmaker recently described texting while driving as more dangerous than drunk driving. Wisconsin currently has an inattentive driving law that prohibits drivers from being so engaged or distracted as to interfere with safe driving of the vehicle. A new Wisconsin texting law has been passed and will be effective December 1, 2010. The texting law prevents Driving any motor vehicle while composing or sending a text or email. 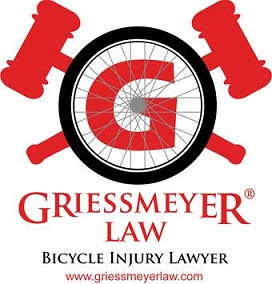 How does this apply to a bike accident? If a driver hits a bicyclist and there is reason to believe the driver was texting, the driver should be interviewed about this. The biker's lawyer can also subpoena the driver's phone records. Proof of texting can be used to prove the driver was at fault for the colission. See the video below showing the dangers of texting behind the wheel.